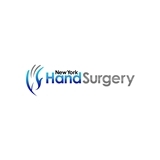 New York Hand Surgery (Brooklyn) - Book Appointment Online! Our Practice sees patients with all Orthopedic conditions - Upper and Lower Extremity. Dr. Patel has a specific expertise in Hand, Wrist, Elbow and Shoulder Surgery. He believes in a patient-centered shared decision making process with efforts to try conservative management prior to considering surgical options.